The painting is written in mixed technique – watercolor and pastel, which – along with tempera – Borisov-Musatov preferred everything else. This is one of the most poetic female images of the artist, as if composing here musical improvisation on the theme of “blue” – the color that plays an important role in the work of the Symbolists. The year of the creation coincided with the creative peak of Borisov-Musatov, who found himself: at this time he works remarkably productively and, it seems, everything can – the virtuosity of the performance of “The Lady in Blue” serves as the best confirmation of this. 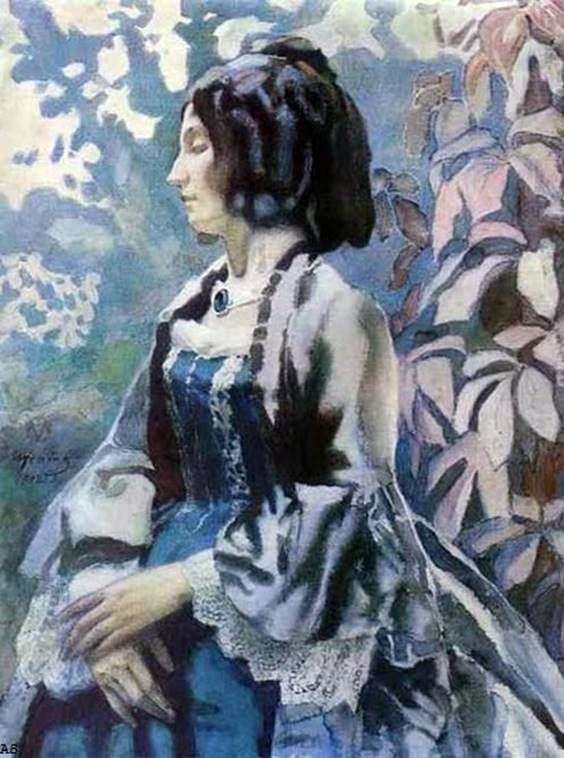 Description and meaning of the painting The Lady in Blue by Victor Borisov-Musatov.